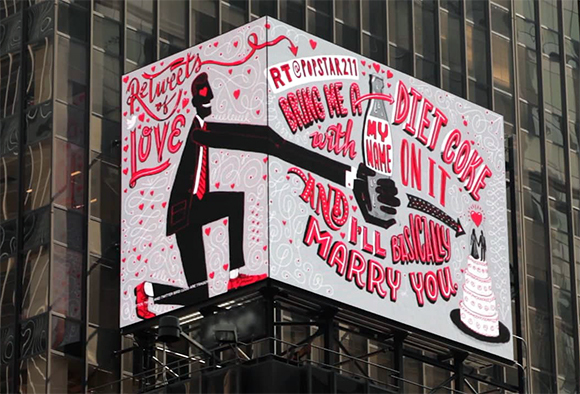 Machas Artist Rogers - ReTweets of Love at Times Square from MACHAS on Vimeo. 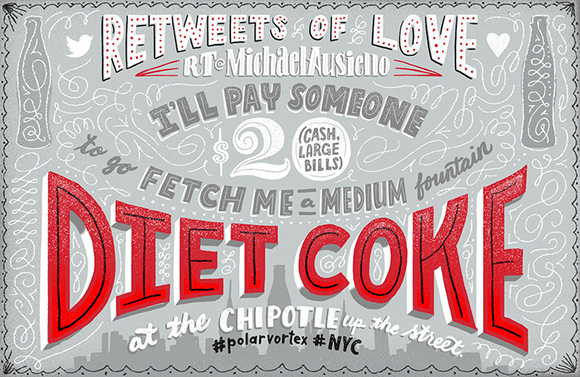 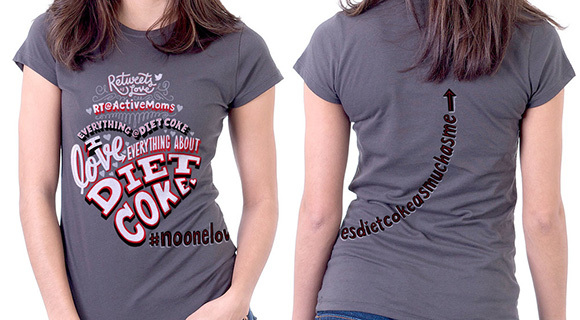 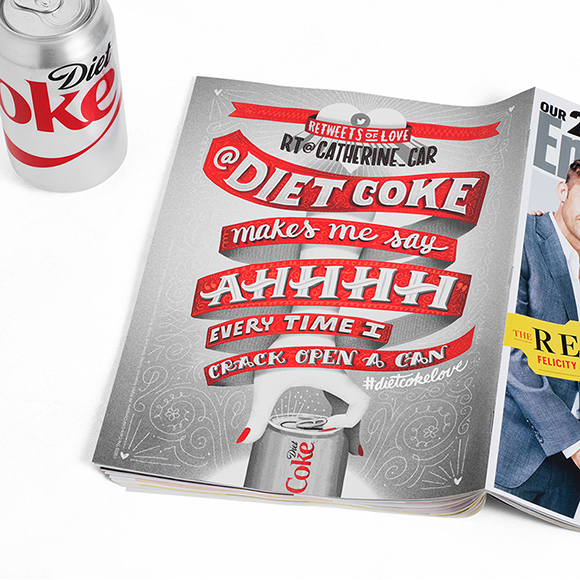 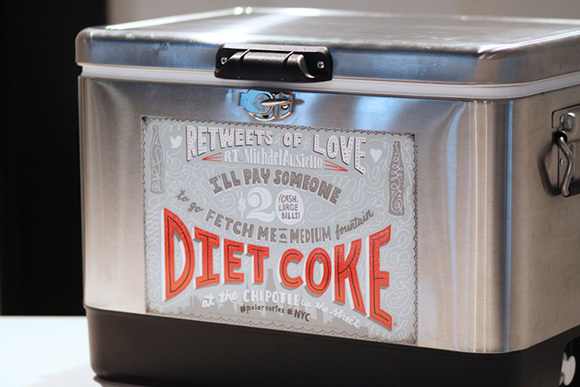 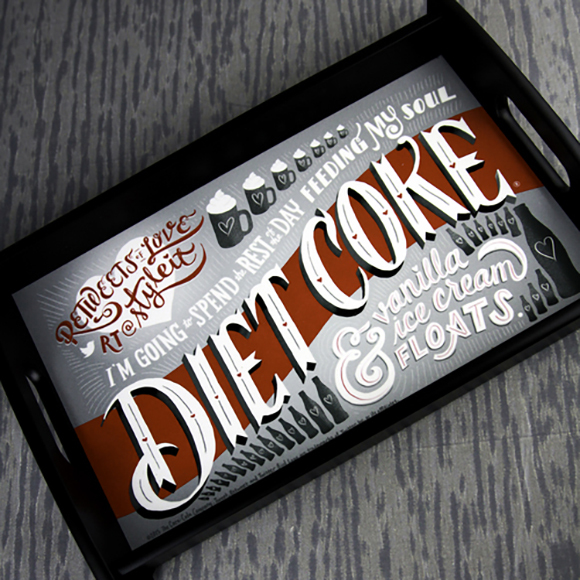 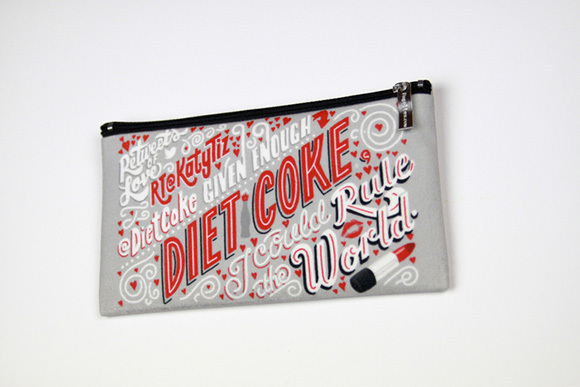 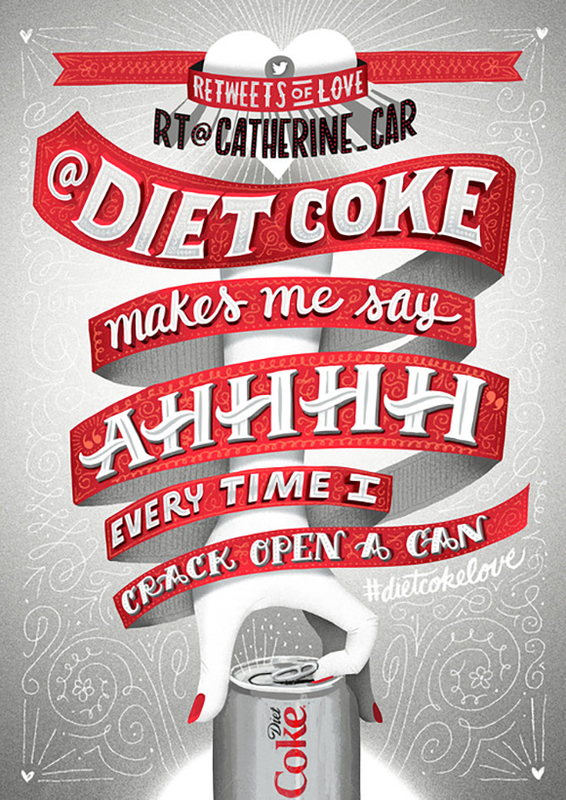 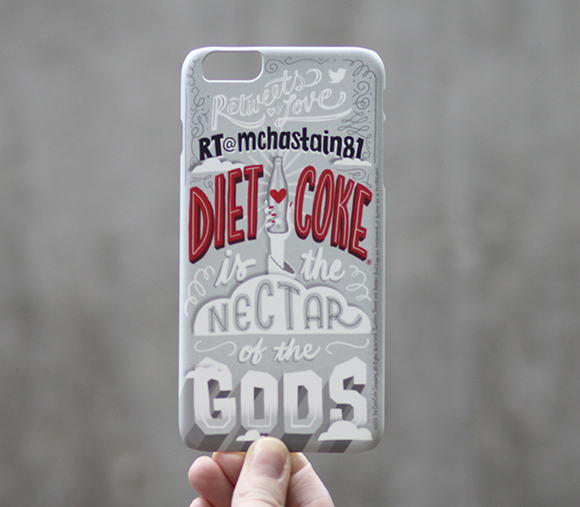 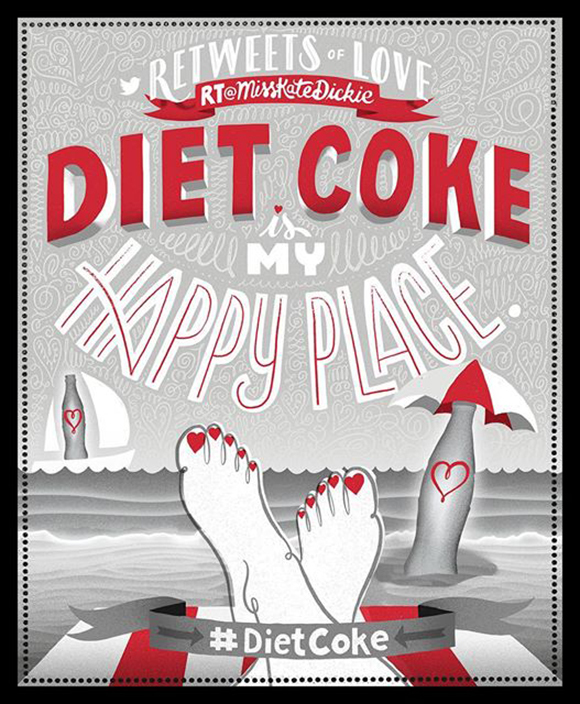 Diet Coke has taken re-tweets to the next level, not by just sharing the fans’ messages on its social media platforms but by putting them out in the real world as beautifully designed artworks on billboards, accessories, magazine pages and more. 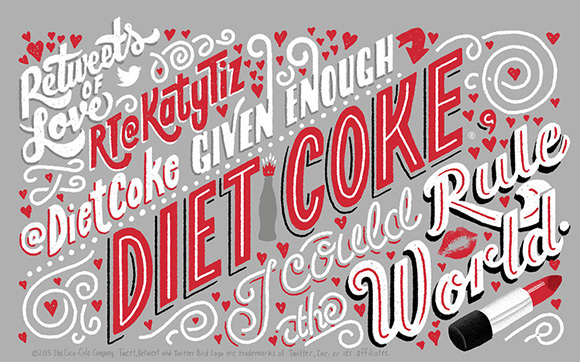 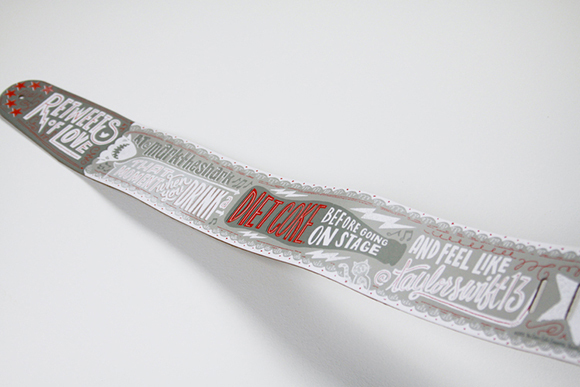 Machas’ lettering artist supreme Jeff Rogers was one of the artists called to give shape to the cheerful messages delivering a captivating artwork featuring both lettering and illustrative elements all created in the trademark white black and red nuances. 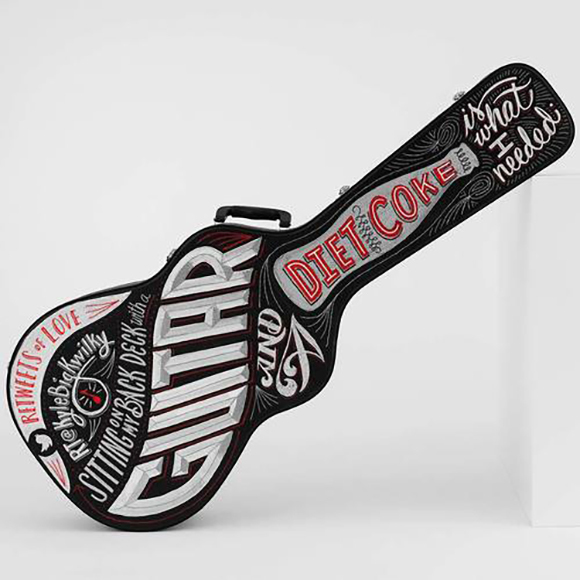 His instantly recognisable artwork popped up on a massive LED billboard in Times Square, appeared on various magazine and gracefully adorned accessories like towels or iPhone covers — even a guitar case!